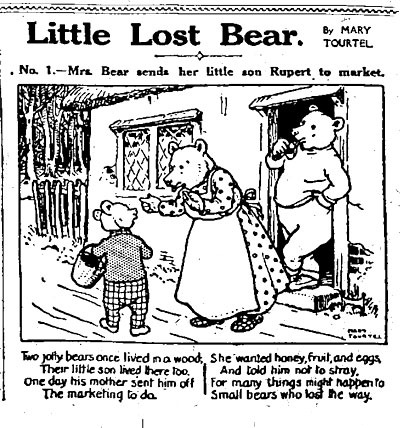 Rupert Bear first appeared in the Daily Express on 8 November 1920. 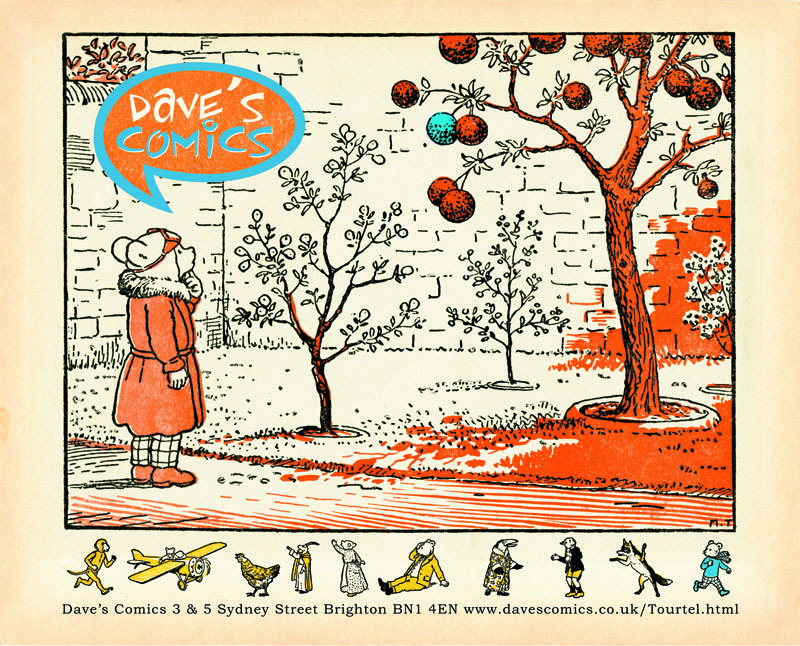 The Editor of the newspaper, R.D.Blumenfeld had been instructed by Lord Beaverbrook who owned the Daily Express to find and launch a comic strip character that would prove popular with children, and outstrip competitors comic strips. Blumenfeld had problems finding the right type of cartoon character to to fulfill this aim. Finally he told his night news editor Herbert Tourtel about the problem. 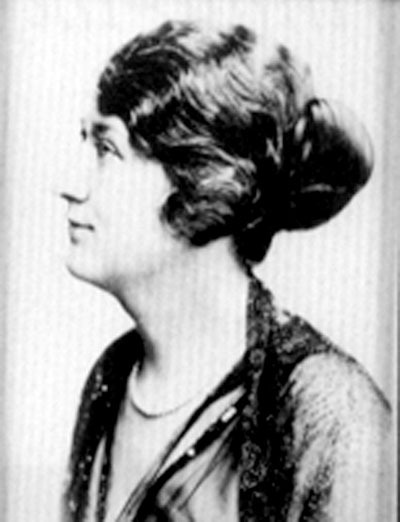 Tourtel immediately volunteered his wife Mary, who had been trained as an artist and was a well established illustrator of children's books, to work on the project. 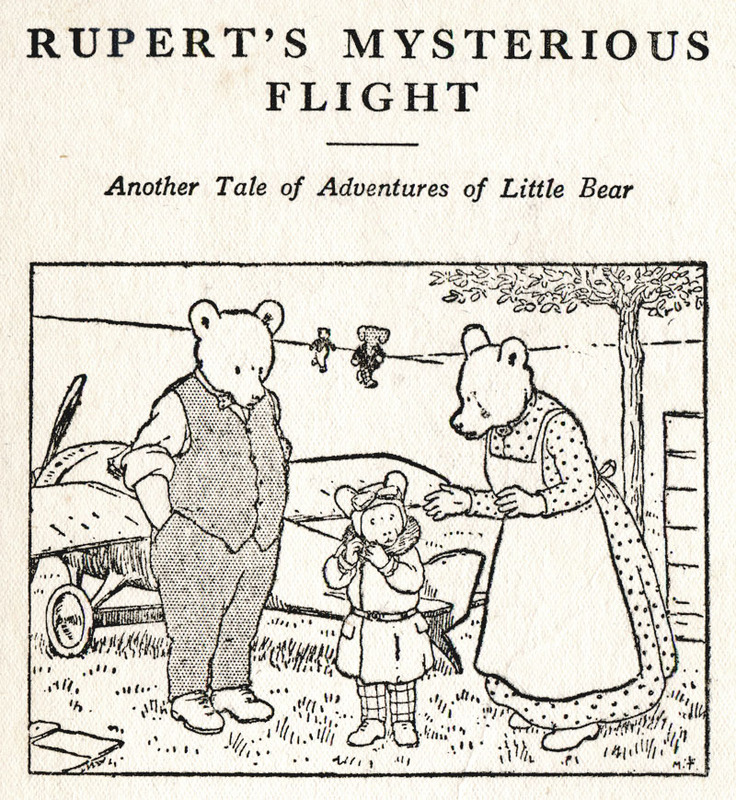 Rupert was the result and he was an immediate success and has subsequently appeared in the paper on a daily basis since his character was launched in 1920 in a story called 'The Adventures of a Little Lost Bear', with Mary Tourtel's illustrations and captions provided by her husband. The adventures that followed were narrated day by day, always in one picture with an accompanying set of rhymes. Bill Badger, Edward Trunk and Algy Pug are also some of the initial friends of Rupert that have survived the last 85 years.